Forensic Healthcare Consulting's Mission is to Integrate Healthcare and Justice in Response to Violence in Our Communities. Mukha embraces beauty, and beauty includes social responsibility, giving back, and being conscious of our local and global community. 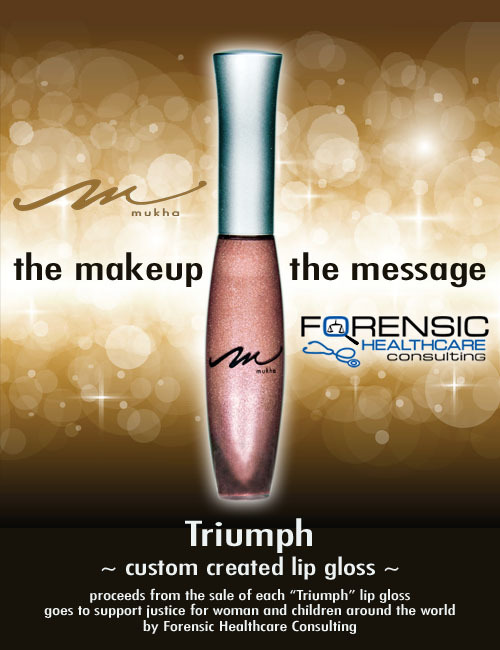 A portion of the proceeds from the sale of each “Triumph” lip gloss goes to support justice for woman and children around the world by Forensic Healthcare Consulting. Order Your Triumph Lip Gloss Here!